The ‘Bay’ Syndrome; a syndrome which compels its victims to imagine & pen down such characters that embody all the characteristics that begin with ‘bay’, examples include ‘bay’ghairat, ‘bay’sharam, ‘bay’shaoor, ‘bay’haya, ‘bay’tukkay, ‘bay’charay so on & so forth. Surprise surprise, I am writing about the latest trends that our writers have started & the bandwagon of writing the ‘bay’ghairati filled dramas that our writers have hopped on & for that reason, I most certainly believe that most of our writers are down with ‘the ‘bay’ syndrome’ because other than that, there’s no justification to the idiocy that our writers are churning out, one after another. Gone are the days when our writers used to feel the pressure & found it as their moral & ethical duty to pen down such scripts that had some purpose. Gone are the days when our writers used to write such stories that actually contained a message that they felt that needed to be conveyed. Gone are the days when the writers took their job seriously & actually considered what the viewers would want to see & gone are the days when the definition of entertainment was entirely different & definitely better! These days, it seems like our writers have gotten a wrong idea of what qualifies as an entertainment. Ages ago our writers stopped experimenting with different genres & shoved saas bahu sagas down our throats time & again. It was so obvious that our writers clearly ran out of ideas so they gave a different spin to the stories of domestic issues which were more or less the same. The masses still showed acceptance towards such dramas because they had no other option than to tune to what was being shown but seems like the writers stopped taking their work seriously & came up with a hideous idea of twisting the logic & concepts of Divorce & when they felt that this idea was getting old & rusty, they took their fixation a step further & started exploring (read exploiting) the concept of Halala too! 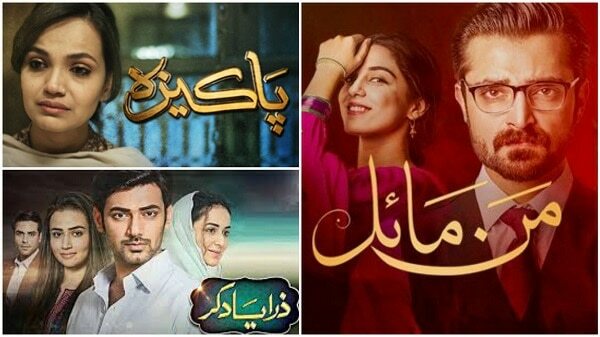 A few years ago, channels like HUM TV & ARY Digital actually brought back people to Pakistani dramas & made them forget the never-ending hideous dramas of Star Plus which had everything except good stories. We Pakistanis, used to take pride in our Pakistani dramas because we knew that our dramas were completely different & had a meaning but sadly, that is not the case anymore. From the last 3 – 4 years, the quality of our dramas has only deteriorated because it is so obvious that all the toms, dicks & harry’s think they can become a writer & they end up writing down the most idiotic scripts that leave the viewers baffled & furious at their audacity for coming up with such level of ‘bay’ghairti. There was a time when all our writers were fixated with the sister rivalry & we got so many photocopies of same idea as the writers thought that this is what was going to sell their scripts. After that came a trend in our dramas where everyone got married to the one they were not in love with & planned on eloping with their beloved from the past. Then came a trend of such dramas where each & every female lead was being accused of infidelity. Then came the most amazing trend of ‘dusri biwi’ which some writers once again took a notch higher & threw in 3 – 4 biwis too. I am talking about these trends because they show the lack of creativity that our writers suffer from, where they take it as their duty to follow the lead of those dramas that might do a good job rating wise & this is the reason why we see so many copies of one idea for a certain amount of time. I am sure by now you guys must’ve understood where I am going with this. Yes, I am talking about the trend that has compelled the writers to play with the concepts of Divorces & Halalas because of which we are seeing so many photocopies of this sickening idea & honestly speaking, I am actually unable to figure out what makes these so-called writers think they can write such pathetic scripts & get away with it? Are they so rating-hungry that they find it totally cool to play with such concepts so brutally? Since our writers have even taught the kids about what divorce is, I am sure when asked, the kids will also say that a divorce means no turning back but here we are, getting to see such dramas where divorce is treated as a cancelled meeting where the involved party tries to arrange a meeting again while completely forgetting about what had transpired between them already. These days in our dramas written by the writers that are down with the ‘bay’ syndrome, we are shown that after getting divorced, the wife tries to go back to her husband citing kids as an excuse conveniently. If the ‘bay’ syndrome writers actually think that their miserable couple can still do well together then why do they shove in the phase of divorce? Only because that’s the easiest way to earn ratings? In stead of exploring the opportunities of how they can show divorce & reconciliation in different lights, why don’t these bay syndrome victims try to explore their heads & see if they have a thing called ‘brain’ inside it or not & if by chance or by luck, they do spot a thing called ‘brain’ then how about putting it to good use because everything is there for a reason so why not use it & see how they go? There was a time when our writers used divorce as a last stage & also as a sign of freedom which put the kibosh on the misery of the couple involved but these days, seems like even divorce doesn’t put an end to the misery & the ex husband & wife still find it in their hearts to get back together, thinking everything will be alright while completely forgetting about the fact that they are divorced!?!?!?! Mann Mayal; as declared by its creative team, #lovestoryof2016, #bestdramaever – also showed that ‘bay’shaoor & ‘bay’chari Mannu, even after getting divorced was ready to go back to ‘bay’ghairat Mikaeel & even he was thinking of taking her back saying everything will be alright & their cupid Mr. Sallahuddin told his mother that this is a ‘new zamana’ & things like these happen or rather, casual & temporary divorces like these happen so she should just chillax & that is why in the latest episode he was wondering if he could settle a divorced couple abroad for the sake of their kids? How amusing, right! Even though I haven’t watched Pakeeza but a commenter told me that even after getting divorced, ‘bay’sharam Pakeeza lives with her ex-husband only for the sake of her daughter. I didn’t watch this drama but I did see the promos when it was about to go on-air, where the writer; Bushra Ansari requested people to feel Pakeeza’s journey & relate to it, well sorry writer sahiba, I can not relate to such a story which makes no sense to begin with? Things like these can be expected from Samira Fazal as #naamhikaafihai but I actually believed that Bushra Ansari; being such a seasoned actor with so much of experience knew better & could definitely do better, but sigh!!! Then we have the most unique writer of recent times; Khalil ur Rehman Qamar, who actually twisted the concept of Halala so badly that my head hurts the moment I think about it. This drama showed that a ‘bay’ghairat girl got divorced because she was in a mood for a new adventure & when she got bored of it, she wanted to get back to her ex-husband so bad that these days she’s on a hunt for some ‘bay’ghairat who’ll become her temporary husband. Can someone please tell Khalil ur Rehman Qamar, that a marriage done with the intention of getting divorced is not valid in the first place, so why did he put so much of pressure on his ‘brain’ & come up with this script & not only that, wasn’t there even a single person in the entire creative unit who could’ve told him ke Uncle jee appse blunder ho gaya hai & this story can not be dramatized as it doesn’t make sense & doesn’t do justice to the concept of Halala actually? Our writers need to understand that they have a responsibility & they have a duty towards those who tune to their dramas, that is why they just can not show something that happens to be their fantasy as it affects the mentality of others & reaches out to so many people out there. In the recent times, every time I have watched these dramas, I have felt that these writers need to enroll in the schools again & they need to pay attention to their Islamiyat classes because these are the concepts that are taught at a school level but seems like these writers were the famous bunkers of their times & they bunked most of their Islamiyat classes because if they had attended at least 2 – 3 of those lectures, they would’ve known better & they would’ve understood that they are psychotically twisting such basic concepts which serves no purpose at all. The way these ‘bay’ syndrome victims are twisting the basic & straight forward concepts of divorce & halala is quite alarming. I actually feel infuriated to see that how easily these unqualified individuals believe themselves to be the writers & not only that, they take pride & joy in their writings which actually look like papers that were puked upon & deserved getting dumped into the dustbin but made it to the hands of the producers & they decided to produce it because of being money & rating mongers. 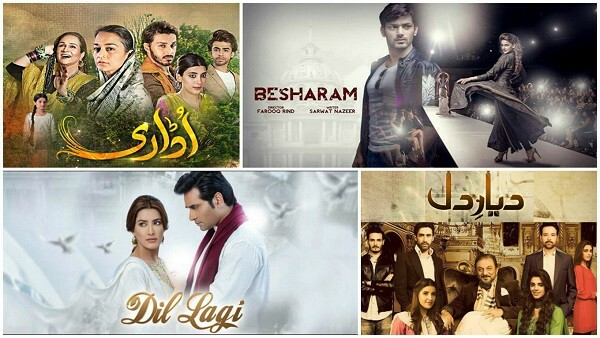 Being a fan & an avid viewer of Pakistani Dramas, I still have hope because in such dark times we still are getting dramas like Diyar-e-Dil, Besharam, Dil Lagi & Udaari, which have nothing to do with divorces still they keep the interest of the viewers alive & are being spoken about for all the right reasons. I hope that these ‘bay’ syndrome victims take inspiration from these drama-writers & come up with something better that has nothing to do with divorces & halalas. Also, I wish the producers curb their hunger for ratings & money & expand their vision to be able to see that those dramas who had nothing to do with divorces & halalas did good in terms of ratings too. I wish to see a better quality dramas with amazing scripts & an actual quotient of entertainment because what we see these days in the name of entertainment is everything but that. It is actually quite sad to see that the channel heads have become so commercialized that for the sake of their commercialism, they are taking such scripts that actually have quite a questionable content that doesn’t really sync with our religious & cultural values. Please share your thoughts about the writers that are suffering from the ‘bay’ syndrome & do let us know if you wish to see these victims getting treated professionally.